Added by Andy Hargreaves on July 25, 2014. The Cornish Pirates visiting Tresco’s Abbey Gardens. 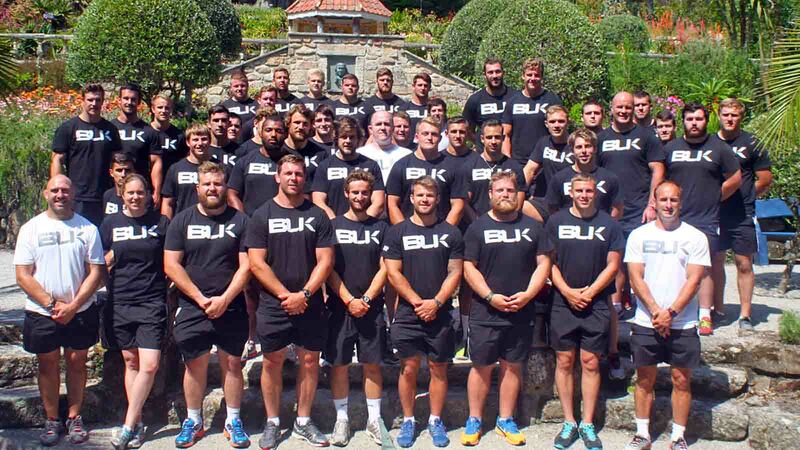 Over 40 professional rugby union players from the Cornish Pirates visited Tresco on Wednesday, as part of a two-day tour of Scilly. The team held a training session for residents and visitors on Tresco, including some of the island’s children. Alasdair Moore from Tresco said everyone who took part in the coaching session really enjoyed having the opportunity to spend time with the players and to get to learn some hints and tips. He said Tresco was happy to support their travel costs and they hope to welcome the team back in the future. Phil Westren, Cornish Pirates Media Liaison Officer, said a number of islanders have played for the Pirates over the years. He hopes that more youngsters will be inspired to take up the game and perhaps make their mark in the future. On Thursday, the players held sessions on training sessions on St Mary’s. 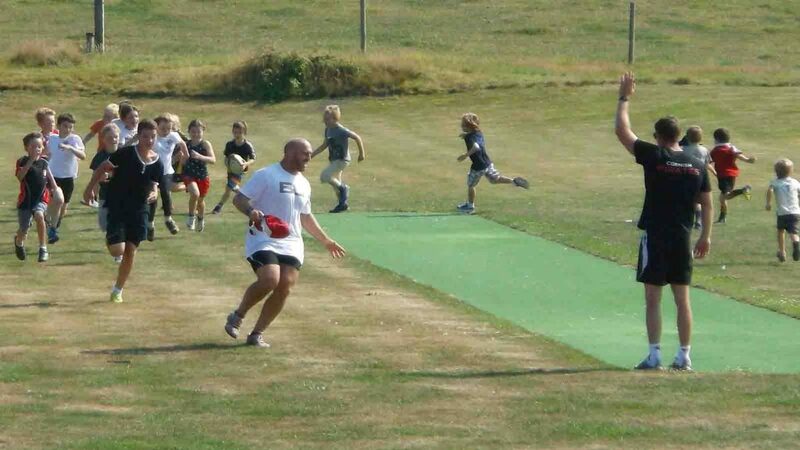 The Pirates training with the island’s children. Photo by Lydia Birch.